Rolex watches are known for their elegance and precision. This sterling combination of beauty and functionality is the reason many people are willing to spend so much on their pre-owned Rolex watch. 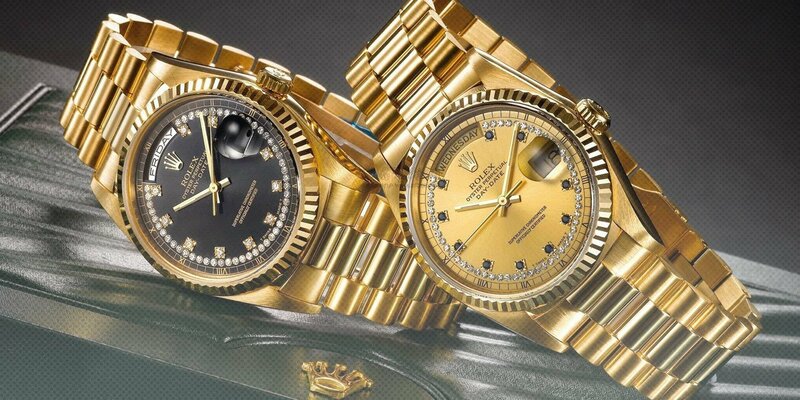 If you own a Rolex, you will no doubt cherish it forever. So learning how to properly care for your Rolex watch is critical. Regular care will ensure your Rolex will remain in perfect functioning condition and look good each time you wear it. Wearing your Rolex watch often is the first step in keeping it in good working condition. By wearing your watch often, you maintain the viscosity of the lubricants in the movement. When not worn on a regular basis, the lubricants within your Rolex may harden, which will then cause friction within the movement. So it is best you do what you can to keep those gears turning. Ensure the winding crown is screwed tightly into the case. Lukewarm water should be used to rinse off your watch. Get a bowl of lukewarm water, add a little ammonia-free soap and gently scrub off all the dirt particles, an old toothbrush can be used as a scrubber. Gently pat your Rolex dry with a soft cotton cloth. Ensure you only use the polishing cloth on the bracelet and you could damage non-polishable surfaces. Do not use too much pressure when polishing. Do not polish in a circular motion, instead, try to follow the flow of the metal on the bracelet. That is, go with the grain of the watch bracelet surface, not against it. All it takes is about a minute of polishing to remove a scratch unless the scratches are deep. Avoid polishing any surface that doesn’t have any scratches or you risk removing a fine layer of metal. Most Rolex watches have an automatic movement which means they are self-winding. However, if you don’t wear your Rolex for a period of time, it will stop and fail to show the correct time. You can choose to manually wind your Rolex watch if this happens. Simply unscrew the crown to position two and give it about 30 or 40 winds. When you are done, screw the crown back down and wear as normal. Since Rolex watches have a built-in protection mechanism, overwinding is something you need not worry about. So take good care of your Rolex watch and it will look fantastic and run even better for a very long time.